Your credit card issuer offers the convenience of paying your credit card balance over a period of time. However, carrying a balance on your credit card from month to month usually means you'll have to pay interest, in the form of a finance charge. If you want to keep your credit card free, or at least lower the expense of having a credit card, that means avoiding credit card interest. What's Wrong With Paying Interest? When you pay interest on a credit card balance, you end up paying more for your purchases than you borrowed in the first place. The higher your interest rate and the longer it takes you to pay off your balance, the more interest you will pay overall. For example, if it takes you a year to pay off a $1,000 balance with 15 percent APR (which is actually low since the current average APR is above 17 percent), you'll pay $69.73 in interest. For some people, that's lunch money for a week, a tank of gas, a month of cellular service, a college textbook, or a month's worth of diapers. You don't realize how much you're actually spending on interest because it's spread over a period of time and lumped in with your credit card payment, but that doesn't make it any less significant. It's simple mathematics—decrease the amount of interest you pay and you'll increase the amount of money you have available to spend on necessary expenses. Generally, you can avoid credit card interest by paying your balance in full every month before the end of the grace period. Grace periods are typically between 21 and 27 days. Credit card issuers must mail your billing statement earlier than the beginning of your grace period so you have time to take advance of their grace period. If you're like many people today and you simply can't possibly pay off a $1,000 balance at one time, then pay it off as quickly as possible—and try not to put any more debt on that card until you've paid off your balance. If you're paying your balance incrementally, you won't completely avoid interest, but you'll decrease the amount you pay. For example, if you repaid the $1,000 balance in 6 months, you'd pay $31.31 in interest instead of $69.37. That's less than half the interest. Once you get into the habit of paying as much interest as you can, be proactive to meet your no-interest goal. That means only charging as much as you can afford to pay off every month. Don't charge $1,000 on your credit card if you can only afford to pay off $300. Instead, give yourself a maximum purchase limit of $300. Use your budget to re-evaluate what you can afford to charge each month. A grace period is necessary to avoid paying interest, but not all credit card balances have a grace period. For instance, you may not have a grace period if you already had a balance on your credit card at the beginning of the billing cycle. In other words, if you didn't pay off your balance last month, your new purchases may also be subject to a finance charge. Some types of transactions—namely cash advances and sometimes balance transfers—don't allow a grace period. Interest starts accruing immediately on those kinds of transactions. The only way to avoid paying interest on a transaction without a grace period is to pay off the balance the same day you make the transaction—and that's usually not feasible. While it's rare, some credit cards do not provide a grace period at all, so do your homework and learn whether a credit card has a grace period by reading their credit card disclosure. Then, avoid the credit cards without grace periods altogether. Be careful with "interest-free," "same-as-cash," and "no-interest-if-paid-in-full" promotions. 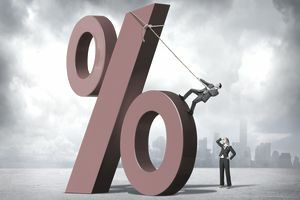 These are deferred interest financing plans that require you to pay the balance in full by the end of the promotional period—and often, that interest rate is exorbitantly high.